Captivating peaocck feathers at their best! Standard width 2 X 60 inches. —the best tie I ever see. The peacock pattern is just a true wonder. 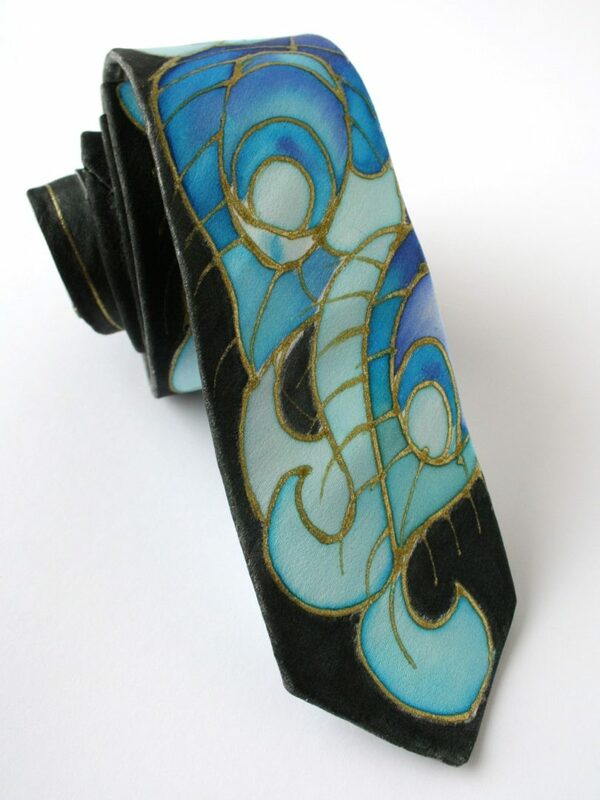 Each of my hand painted silk items is completely original and yours will be very similar to the one in the photo though no two are ever exactly alike since I paint each one freehand. 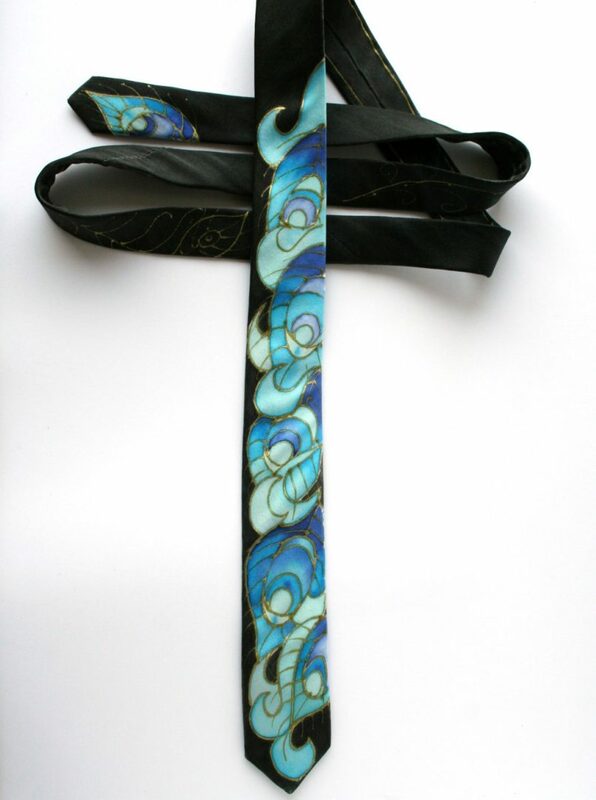 If you purchase more than the one in stock available item shown here your other ties will be especially handpainted for you. Your apx. shipping time will be detailed to you after purchase or an inquiry can be sent before purchase for time estimates.